Living next to Rock Creek Park in Washington, I’m used to seeing various wildlife in my neighborhood. Deer are frequent visitors and we’ll see the occasional fox scoot across the street. And the birds! Oh, the birds. They start about 4 am and the house sounds like an aviary. But here’s a new one. Rita noticed something on the sidewalk across the street from our house. 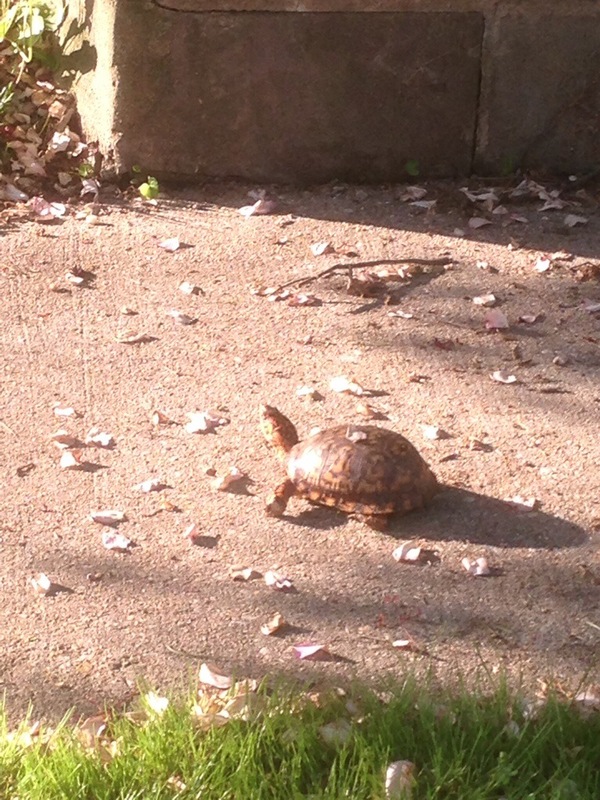 It was a box turtle making his way down the street.